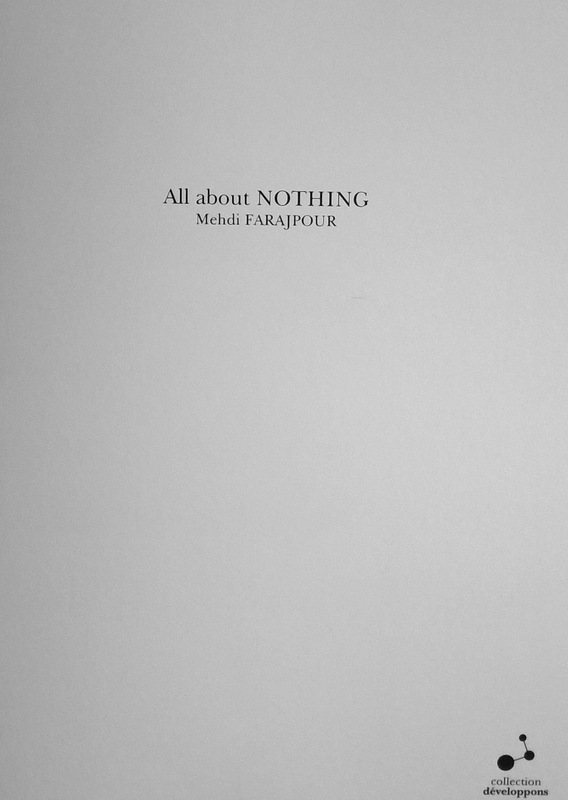 1) This book is REALLY about NOTHING. 2) It is possible that you discover some familiar words in the book but it is either a mistake by the author or by the accident. Although, you are most welcome to consider your discoveries as the mysteries of this book. 3) It is firmly recommended that you read this book loud and preferably in a group of friends (Not families please). You are also welcome to perform it as a performance or to give a lecture on it in an university, school,… In this case, just do not forget to mention the name its author, please. 4) This book is not for everyone. Sorry about it. 5) This book is not to be understood although you are welcome to do your best. 6) It does not make any sense to have All about NOTHING in a PDF format or as an E-book. So, just do not ask for it. 7) And the last but not the least; think about this question: When you are paying for a book, what are you REALLY paying for? for a bunch of paper sheets? for its concept? or for its design as an object? If your answer to all of these questions is YES, then you deserve to have a copy of this book. And do not forget to add a mailing address where you wish to receive it.